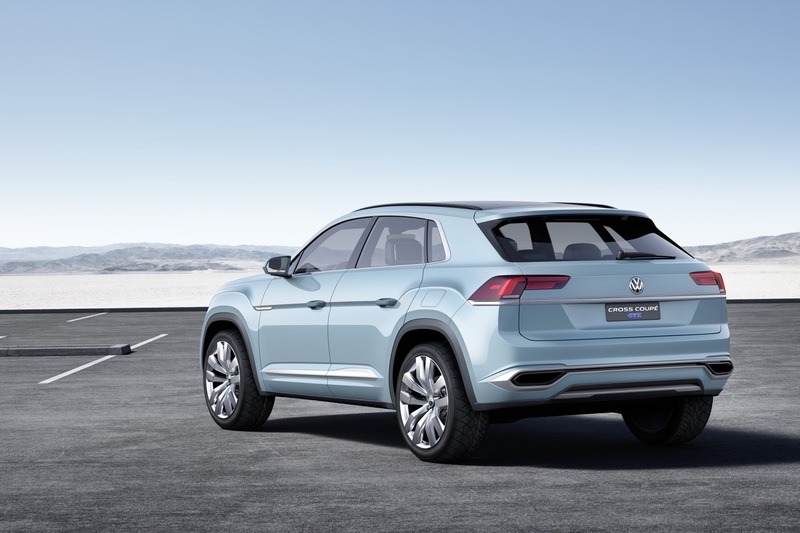 Volkswagen is remedying a solution to its Achilles heal in the U.S. market. 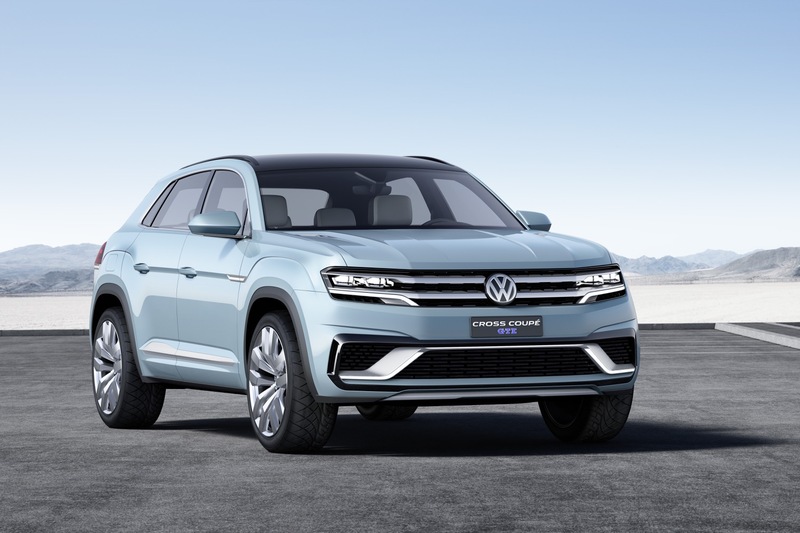 The lack of crossovers within its North American lineup is being previewed with the Volkswagen Cross Coupe GTE. 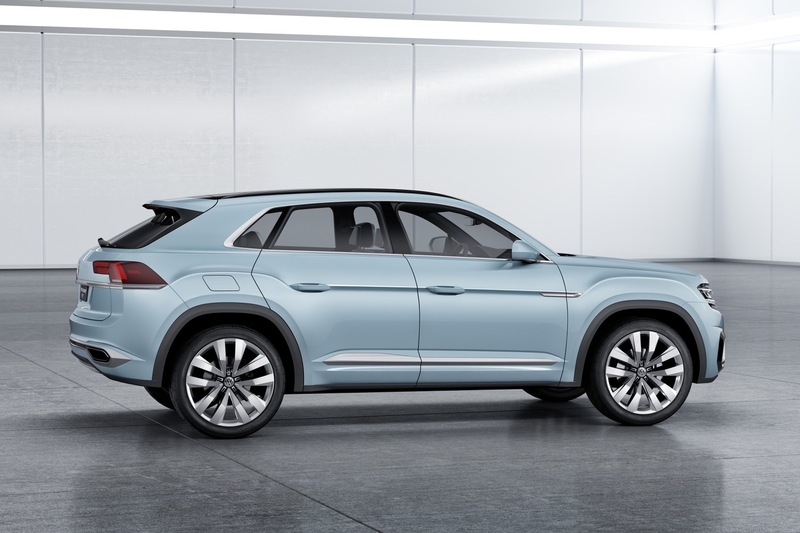 The plug-in midsize SUV utilizes a 276 horsepower 3.6-liter V6 engine and includes two electric motors, one rated at 54 horsepower and the other at 114 horsepower. Therefore, the vehicle makes 355 horsepower maximum output when all of its motors are activated. 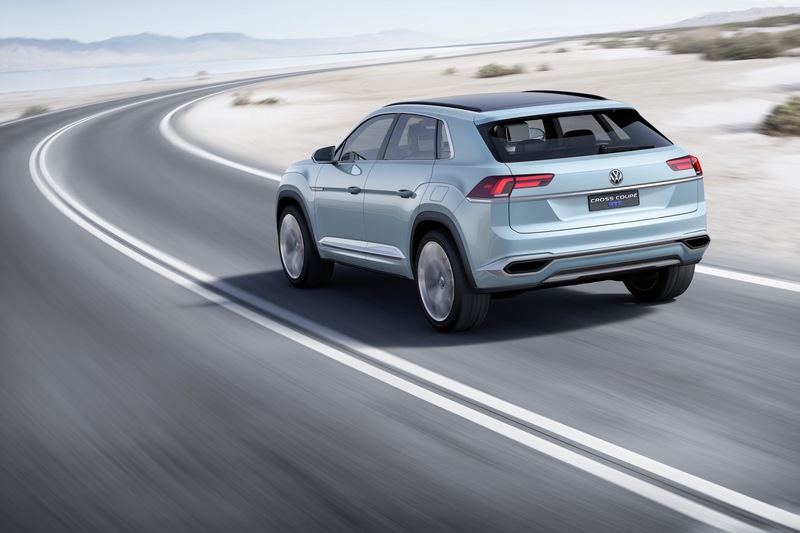 Power is delivered through all four wheels using an all-wheel drive system with an “electric driveshaft.” Thanks to the electrification, the concept achieves a manufacturer-rated estimate of 70 MPGe. The GTE moniker brings out the best when it comes to driving characteristics as well as the concept’s efficiency. 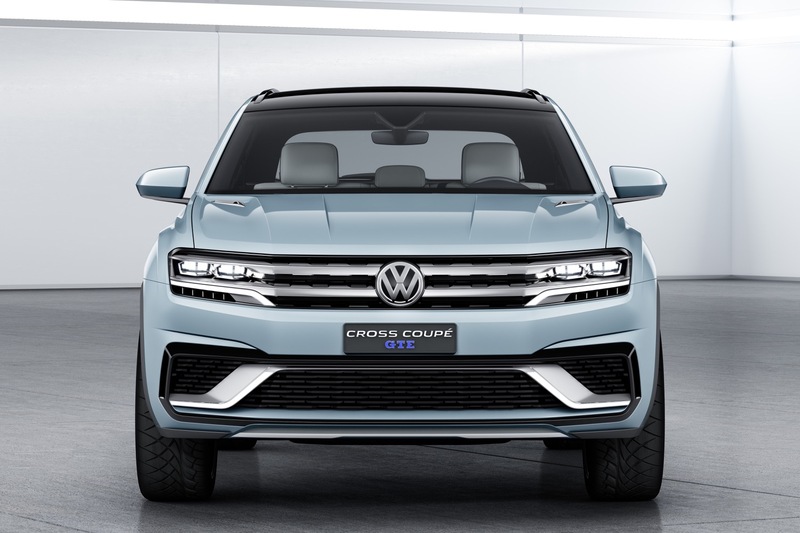 The “GT” in “GTE” characterizes the five-seat crossover as a grand tourer, while the ‘E’ is to denote its environmental friendliness. 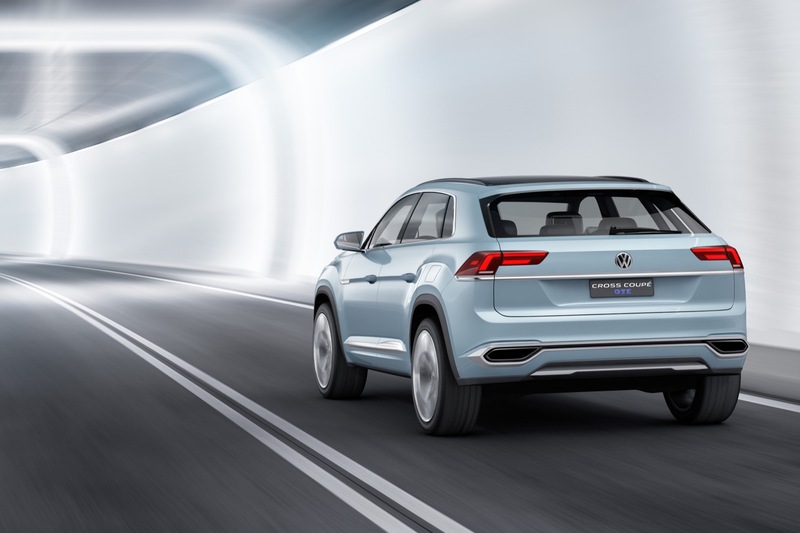 The Cross Coupe has a zero-emissions, pure electric range of up to 20 miles and can reach 60 mph from a standstill in just 6.0 seconds. 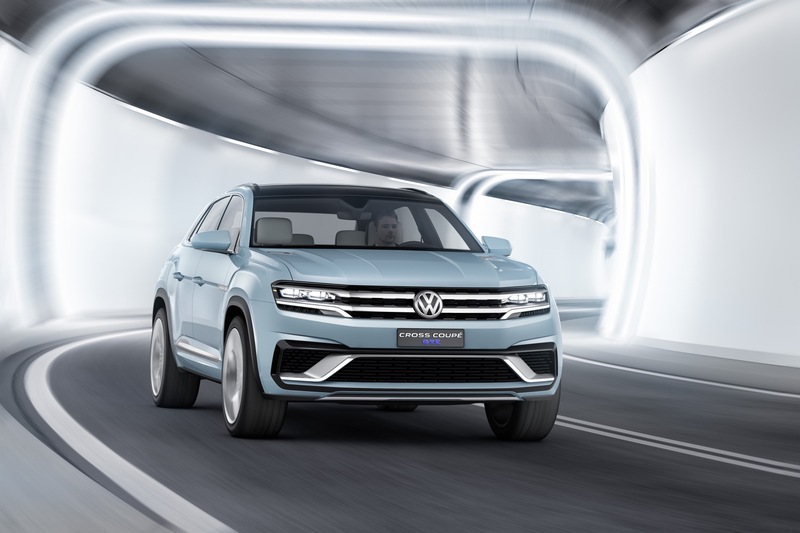 The car has various operating modes, including E-Mode (pure electric), GTE, Hybrid, Off-road, and Battery Hold/Battery Charge. 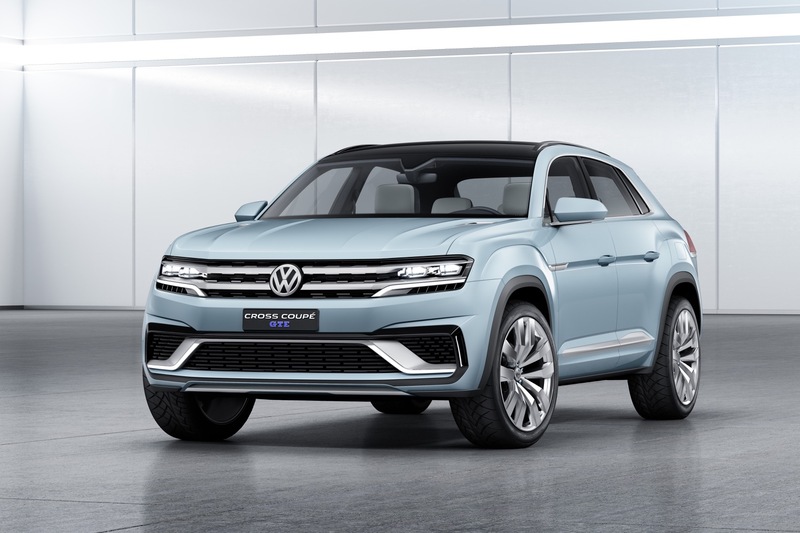 The bold, bulky, and refined exterior design a sign of things to come from the German automaker. Frankly, it looks very good. 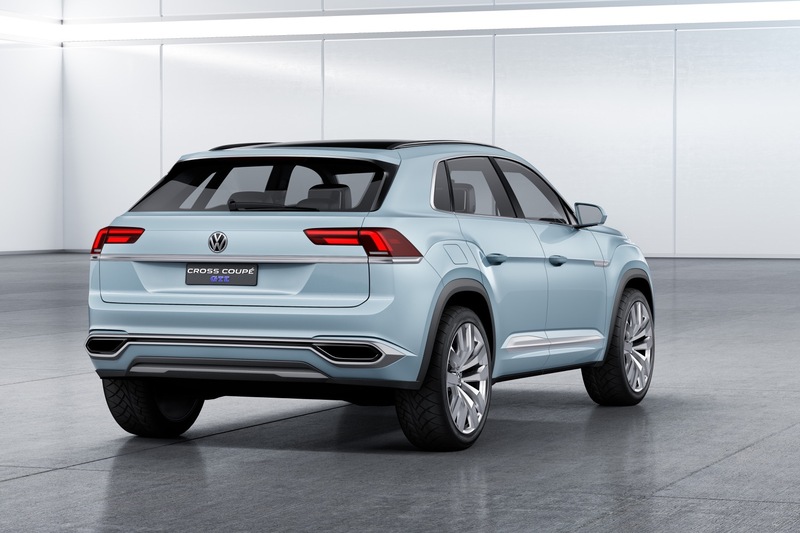 The front clip is a nice transformation of VW’s corporate grille from cars to crossovers, and the lines flow evenly to the rear with a new take on Volkswagen tail lamps. 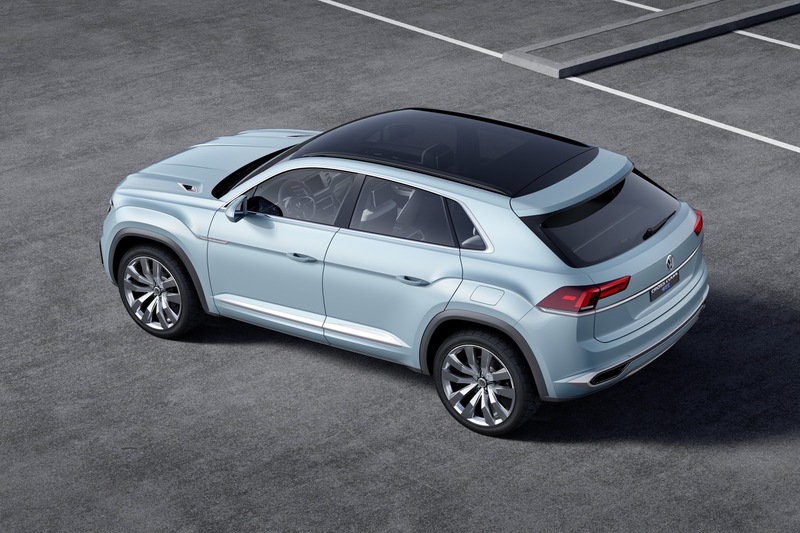 Inside, the Cross Coupe GTE reveals and inviting place for occupants, and Volkswagen remarks that the contrast of the gloss black interior pieces against splashes of chrome found throughout the cabin is heavily influenced by the German Bauhaus movement. 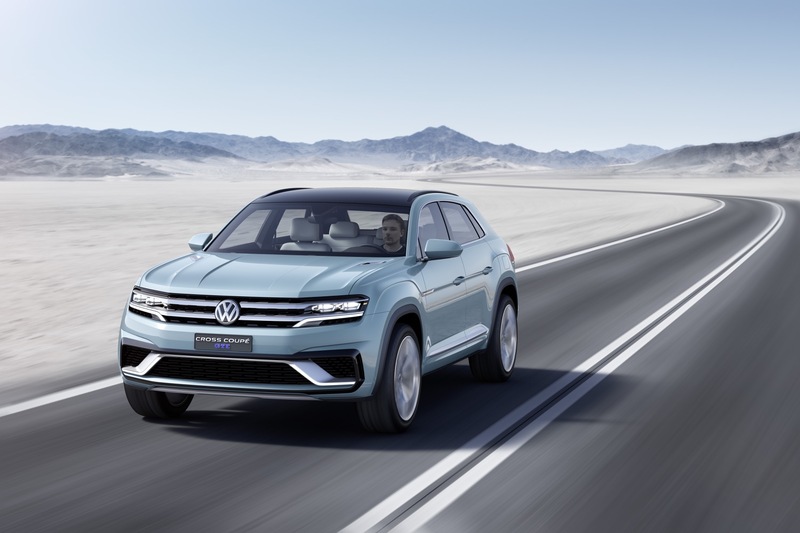 Thanks to Volkswagen’s MQB platform, the model that the Cross Coupe GTE previews is capable of being produced with a wide variety of powertrain applications apart from a plug-in hybrid. 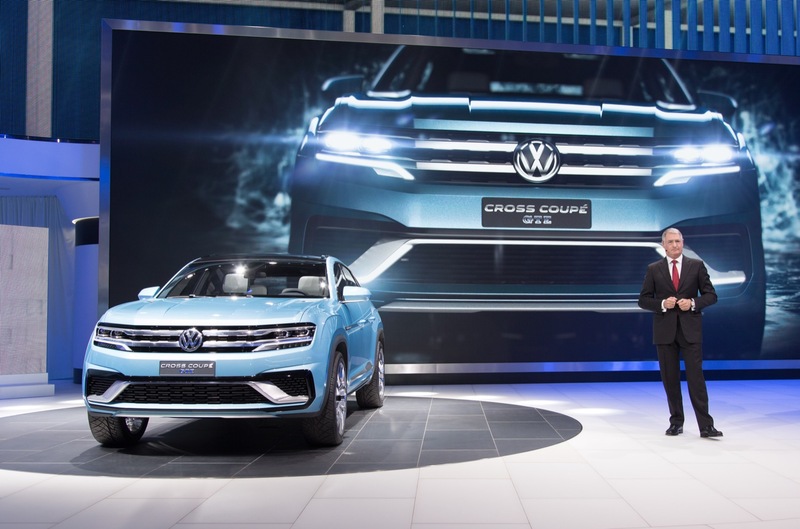 Stay tuned to Motrolix for more news and information as we cover the 2015 North American International Auto Show.